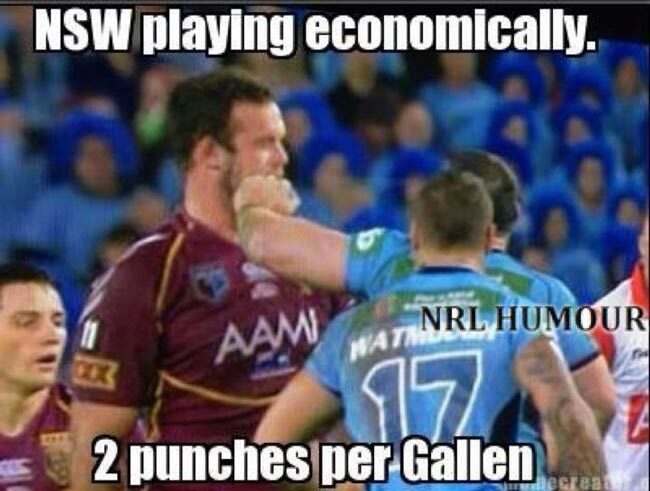 NSW playing economically: 2 punches per Gallen. June 5, 2013: Paul Gallen finally had enough Wednesday night. Fed-up with losing - and with Queenslander Nate Myles. In a highly controversial moment, the NSW skipper snapped before half-time in last night’s brutal State of Origin opener, belting Myles twice in the head. Created about 5 yrs, 10 mths ago (June 5, 2013). Updated about 5 yrs, 10 mths ago (June 5, 2013).